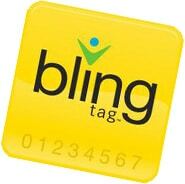 Bling Nation, the company behind the first commercial NFC payments system in the US, has suspended service while it seeks to revamp its business model, American Banker reports. Bling Nation’s technology was specifically designed to reduce payments processing costs for small, local banks and their merchant customers by cutting out middlemen, such as acquirers, processors and brands such as Visa and MasterCard. The company’s technology was designed to be NFC compatible and used contactless stickers and SMS text notifications to get around the then lack of commercially available NFC phones. 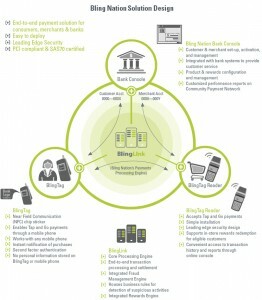 Bling Nation gained traction quickly with a number of US community banks and consumer adoption also saw swift take up. 62% of customers at the State Bank of La Junta, for instance used their phone to make a purchase in just the first five months. 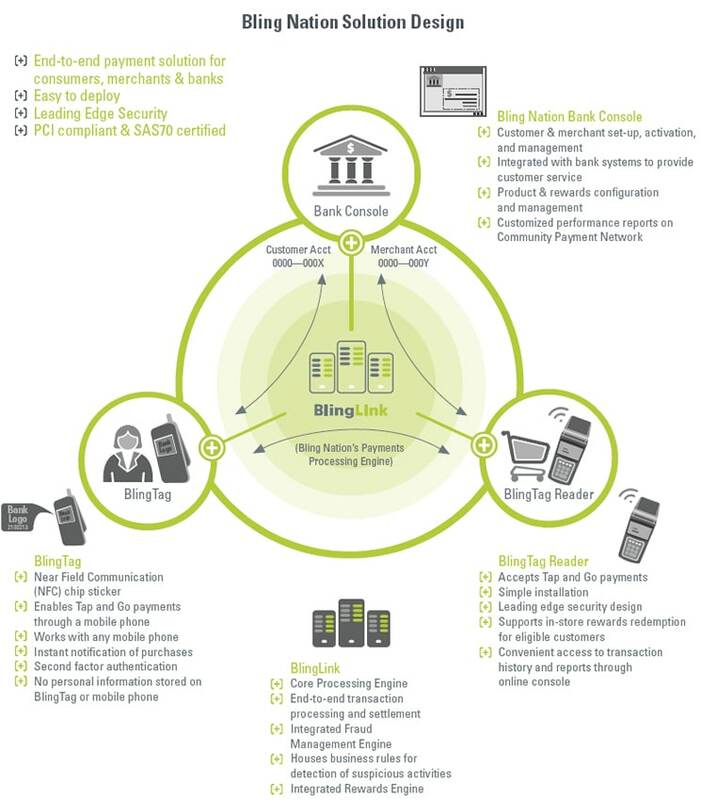 BLING THING: How Bling Nation’s local payment system works. Click to enlarge. Bling Nation went on to run a payments trial in Silicon Valley in which both PayPal and Facebook took part. It then began to focus on mobile marketing solutions via its FanConnect service, launched in 2010, but the service has now run into problems and is not currently operating. “Bling says its service interruption is part of a bid to stay competitive by rolling out a revamped product later this year,” according to American Banker. “We found it was easier to kind of pause and fix [our business model] than to try to tweak and market,” Matthew Murphy, a Bling Nation general manager, told the publication. The e-payment upstart’s big misstep involved launching the loyalty program FanConnect last fall and requiring that banks and merchants on its network become part of it, Bling partners say. “It was either you’re on or you’re off, and a lot of our merchants said, ‘Okay, we’re off,’ ” said Brad Rose, the vice president of information technology security at State Bank in La Junta, Colo. The bank, which had been Bling Nation’s earliest bank partner, stopped issuing its stickers in March. Bling Nation later made FanConnect optional, but Rose said by that time many of its merchants had dropped the service. “It could have been… a real competitor to the major card networks,” said Rule Loving, the assistant vice president of retail services at the $400 million-asset StonehamBank in Massachusetts. About 20 merchants in StonehamBank’s market accepted Bling payments, and the bank issued about 500 Bling tags to customers. “Some [merchants] were not interested in putting a new terminal in or setting up the cash registers to be able to interface,” Loving said. Bling Nation also faced an increasingly competitive market, with rival card networks developing their own mobile payments services and partnering with Google Inc. and wireless carriers. Like Bling Nation’s stickers, those systems are using contactless payment technology, though built into mobile phones rather than stuck on. Bling Nation was also tarnished by pending rules that would drastically lower the fees that banks earn from retailers on debit card purchases. Murphy said funding is not an issue for Bling Nation, which has raised more than $33 million in capital from backers including Lightspeed Venture Partners and Balderton Capital. Murphy would not discuss details about what its next service might look like or when it would be released but said Bling Nation recognizes the need to deliver something beyond just another way to make or accept payments.